Nanaimo, British Columbia-based Harbour Air is setting out to become the world’s first all-electric airline—not by developing a new fleet for delivery in the mid-2020s, but by taking the 40, mostly single-engine piston and turbine aircraft it already operates and equipping them with electric motors and lithium-ion batteries. The company, North America’s biggest seaplane airline, announced a partnership late last month with electric propulsion startup magniX, with the goal of “converting [its] existing fossil fuel aircraft into zero-emission e-planes,” Greentech Media reports. The company expects its first commercial flight to take off in late 2021 or early 2022, and eventually sees reducing ticket prices due to sharply lower operating and maintenance costs. The conversion plan will begin with a six-passenger DHC-2 de Havilland Beaver, equipped with magniX’s new 750-horsepower all-electric motor. Greentech says the company has “ground-tested multiple 350 HP electric motors over more than 1,500 hours of operation,” and will do the same with the new 750-HP design in the months ahead. McDougall says the prototype will have a range of 100 to 150 miles (160 to 240 kilometres), enough for a half-hour flight with a half-hour battery reserve. The battery pack will be installed in the belly of the plane, where the fuel tanks used to be. 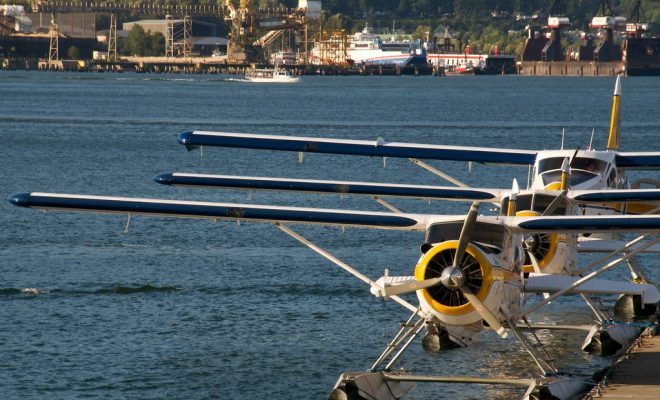 He added that Harbour is looking forward to major savings on operations and maintenance after phasing out fossil-fuelled seaplanes that must be overhauled after 2,500 to 3,000 hours of flight time, at a cost of US$250,000 every time.